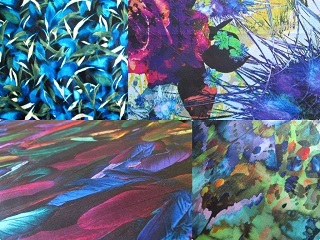 I am not going to be able to tell you as much about this fabric as I would like to be able to and for that reason will mark down the price a bit. I am sure there a name for the technique used in created the interesting effect on the fabric face. 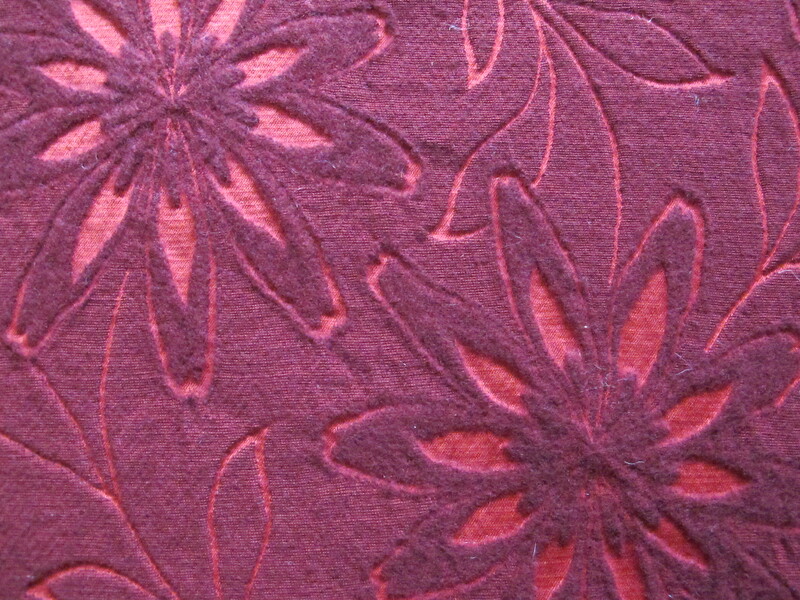 It seems to me that a process has been used to fuse a felted-like layer over a base fabric in this stencilled flower effect. 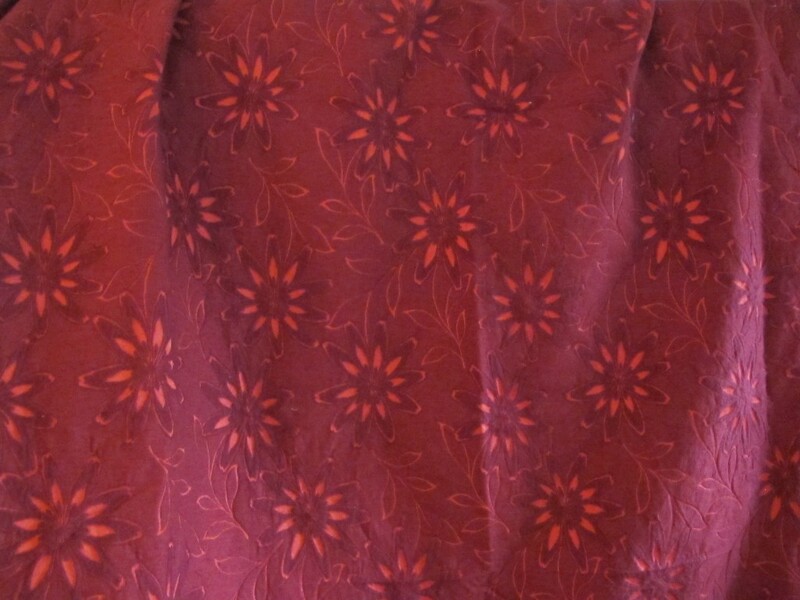 The base fabric is a coral red colour and the overlay is a burgundy tinged red. 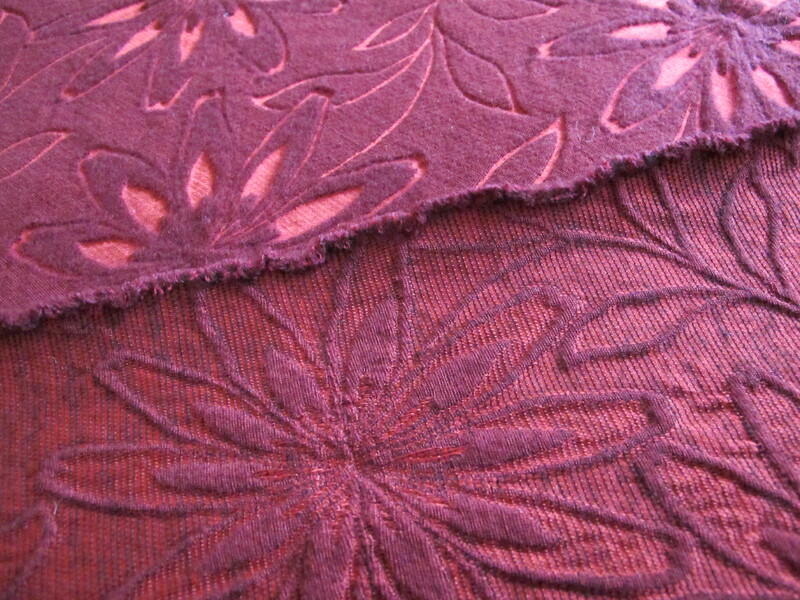 What immediately struck me with this fabric was the likeness to the brilliant stencilled designs of Alabama Chanin. If you don’t know this design house, do look it up and marvel at their wonderful confections. This is what I was contemplating when trying to decide which colour to select — at one of my fave NYC stores. Agony. I walked away with the cream one in the centre and the red one at the far right. The cream one I made into one of my best loved jackets ever which was in constant rotation until someone spilt red wine all over it. Hiss. This one really intrigues me! I did race through some of the photo-taking on the weekend in an attempt to get through as many pieces as I could, so there was not a huge amount of fabric pressing and draping flourishes going on. Please excuse the poorer images that have come with my haste, but I hope you get an idea. This is a blend and I know that wool and cotton are in there. There might be other fibres too, I just can’t say what they might be. I don’t want to sound highfalutin about these things, but I like natural fibres not man-made ones so this fabric would have had to fit that bill to a large extent. This piece is medium weight, with reasonable density but still has a lightness to it. 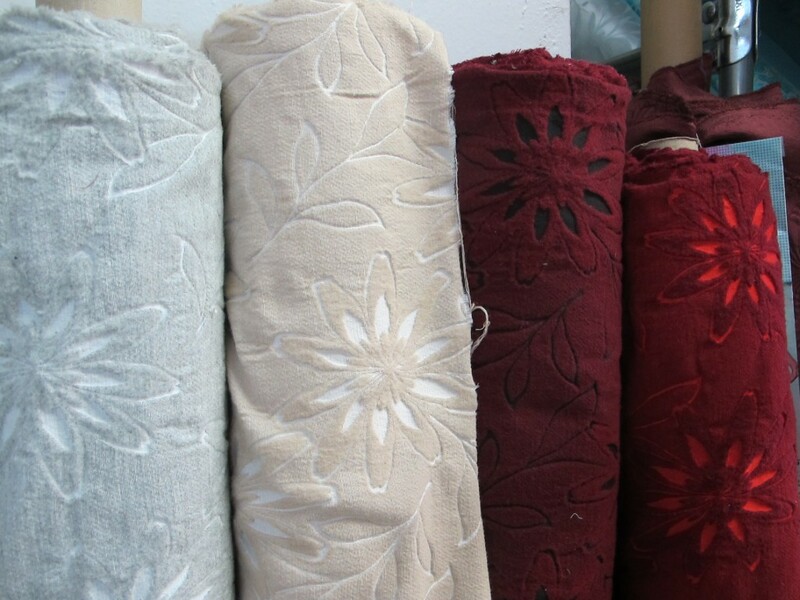 The fabric does behave like a cotton would in terms of malleability. 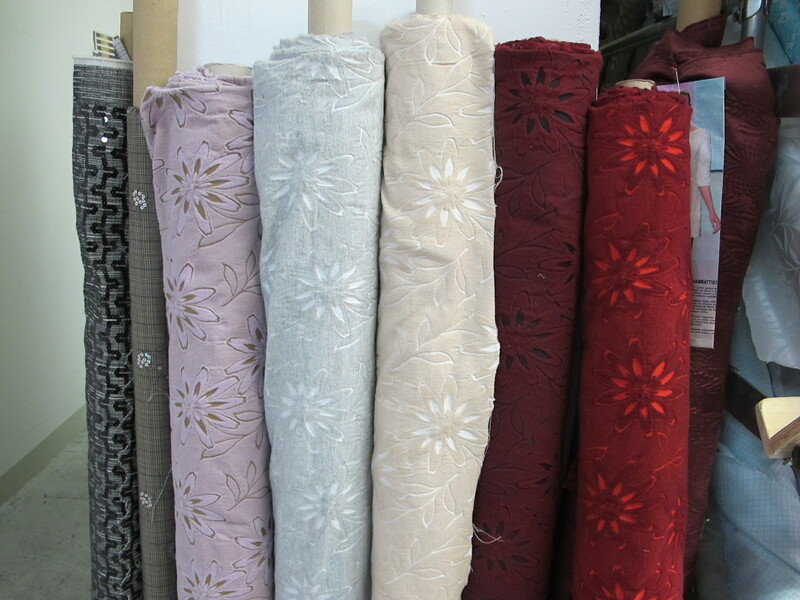 The fabric width is 145cm and the length is 2 metres. I will price this at $25 a metre/$50 for the piece. I will need to send this one in a medium sized satchel for $13.40.